Want to show off the incredible custom rims, wheels, and tires that The Chrome Pros made just for you and your vehicle? Then offer up a testimonial telling us what you think of of the unique marksmanship we did for you. Submit a picture as well that demonstrates the incredible detail we go into each of the jobs that we work on, while still remaining one of the most affordable choices in the auto industry. Send us an e-mail at sales@thechromepros.com with your testimonial and a picture of your ride. 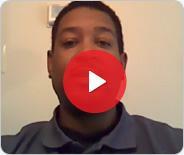 If you want to showcase and talk directly to others about the work we did for you, then call us at 1-800-610-1080 to find out how you can submit your own video testimonial. Otherwise, read below to see what other satisfied auto enthusiasts said about our custom chrome work. "You guys have the largest selection to choose from. I was looking for wheels for my Audi and no other company wanted to help me find any due to my rare lug patter, yet you guys guided me through the whole process. I get looks everywhere i go now! Thanks Chrome Pros team!" "Thanks for the awesome wheels at the best prices around! Definitely the best investment i've ever made! Job well done Chrome Pros Team!" "Best deal anywhere in the US! You even took care of my tarriff costs, thank you guys!!"